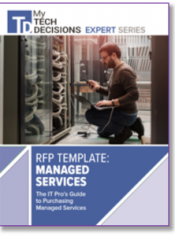 When you’re entering into a managed services or “as a service” contract with your IT provider, you want to make sure that you’re getting a fair price. 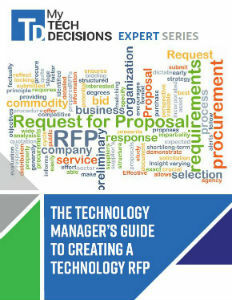 We break down the aspects of a managed services contract so you can negotiate the right services. As a manager, IT is important or even critical to running your business yet it’s not something you want to take on yourself. With the growth of managed services, you now don’t have to. There are plenty of providers that offer myriad managed services that allow businesses to effectively offload the day-to-day management and operation of all their IT systems. In the realm of systems, providers will monitor and manage all machines – servers, PCs, and mobile devices. Systems-related services focus on keeping machines running both efficiently and in compliance with regulations; services often involve patch management of software as well as software upgrades, remote device management, and scheduled remote maintenance of systems and applications. As for applications, these typically encompass hosted solutions for areas such as email, business productivity (think Salesforce or Office 365), and phone communications. The emergence of cloud computing makes such “as-a-service” options increasingly popular and cost effective, enabling businesses to pay only for what they use. Managed security services are offered in areas including antimalware, antispyware, firewalls, network monitoring (for vulnerabilities and suspicious activity) and data encryption. 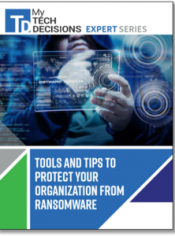 Managed backup and disaster recovery (BDR) are often included as part of managed security packages as these are fundamental processes for ensuring data protection. Data storage and archiving are also important components of a BDR strategy – particularly for organizations where data protection is highly regulated such as healthcare. Some MSPs also include vendor management and software procurement services in their portfolios, truly enabling organizations to outsource everything an internal IT department would handle. 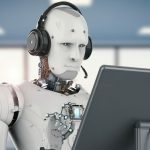 Finally, support services including help desk are typically part of a managed services contract – and it is support where there can be considerable differentiation in price due to the labor costs involved as well as travel time in the case of onsite support. Where does my company fit in terms of the size and vertical markets that you service? How many employees do you have? How many employees do you have answering the phones? What do you do in the case of emergencies? When was the last time you had an unhappy customer? Note that Alexander doesn’t recommend starting off a conversation asking about specific services or costs. “You really want to know about the company first and talk about price in the next conversation,” he explains. Why understand an MSP’s operational maturity? “A company with mature operations actually knows which services it provides well,” says Alexander. 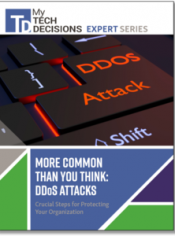 “Some services might be a stretch for them and they’re more likely to tell you that upfront.” In addition, MSPs with operational maturity that promptly answer questions about their operations, “are probably working in an efficient fashion and can give you the proper mix of price and value,” Alexander says. Essentially, the more time technicians spend, the more expensive the contract. Most basic managed services contracts include a certain level of remote support – typically priced according to the hours such support will be provided. A similar tiered approach is offered by CMIT Solutions, according to Jeff Steele, who is president of the Seattle-based MSP. The different service levels involve business-hour help desk support and different amounts of onsite support and monthly hours for project work. “We cover everything on the computer, but if a customer gets a new computer, we have to get it prepped and transfer the data – that would be an example of project work,” Steele says. “The mid-tier plan includes four hours of project work while the top tier includes eight hours of project work per month and 24-hour help desk support. Most contracts should “specify that project work is billable and everything else is included,” says Steve Alexander, CEO of MSP-Ignite, a consulting firm in Nanuet, New York. Those companies that require a predictable amount of project work would do well to opt for a more expensive contract that includes more project hours. Other companies that need occasional project work can go with a lower-tier plan and pay for hourly work on an as-needed basis. 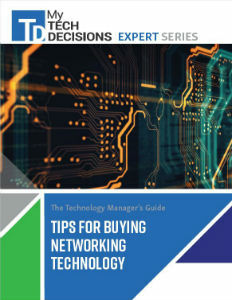 Looking to purchase the perfect networking technology for your organization at the best price? 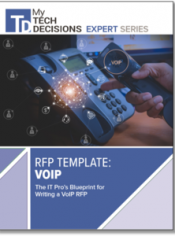 Download our FREE guide to learn how to write a network technology RFP, choose network technology partners, and implement network technology. In addition to labor costs, other factors that impact contract price include the number of systems, the complexity of those systems (such as a combination of cloud and on-premise applications that require integration, or servers in various locations) as well as the number of end users under management. Complexity and scope also factor into how easy it is to add or remove services from a contract. TekDoc offers three-year contracts (with an option to get out with a 60-day notice if not happy) – and standard MSP contracts fall within the one-to-three years range. “We sign one, two or three-year contracts,” says Keough of Spade Technology. “We don’t really care how long, but we want a commitment of at least of one year because we do upfront work.” Keough likens Spade to a trusted advisor; in that capacity a contract can demonstrate mutual commitment – the longer the terms, the more involved and potentially more strategic – the arrangement. Keough recommends evaluating an MSP with the same rigor as selecting a CPA or attorney. Eric Wakkuri, for one, doesn’t abide by the long-term contract approach. Wakkuri is owner and president of DS Tech, an MSP in rural Escanaba, Michigan that offers month-to-month agreements for a range of managed services. One of the benefits of the month-to-month agreement “is that it makes it very easy to scale up or scale down as needed,” Wakkuri contends. When adding a managed service, DS Tech created a calculator to give the customer a quote quickly; if approved, the amount is added to the monthly bill. My boss is currently looking for a managed IT security service for our firm after we had an issue with hacking this past quarter, and your tips will really help him in the negotiating stage. Checking that a company has mature operations and is a strong competitor in their industry is really important, I agree, and it’s good to know that services that can’t provide to our needs will tell us up front if we’re stretching their abilities. Reading about how many services work in a tiered fashion was very interesting, and I think that passing that on to my boss will really help her understand better what exactly we’ll be getting in our service.